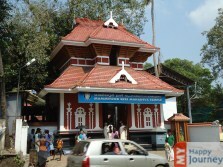 Guruvayur is housed in the heart of the paradise state of Kerala. The name Guruvayur is composed of three different words, i.e. Guru symbolizing Brihaspathi, Vayu meaning the lord of wind and Oor meaning land. One of the most renowned temples is the Guruvayur Sree Krishna Temple, which also stands at number four amongst the numerous massive temples across India. The temple is also known by the name of Bhooloka Vaikuntam and symbolizes the house of Lord Vishnu on earth. The main deity worshipped in this temple is Lord Krishna. However, idols of other Hindu Gods like Lord Shiva, Sree Ayyappa and Edathedathy Kavil Bhagavathy can also be spotted in the temple’s interior. 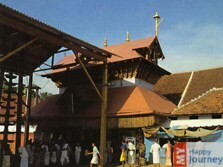 The temple is also popular for Krishnattam, a folk dance form belonging to Kerala state. 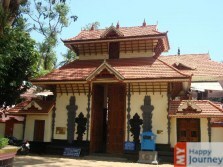 On the exterior of Guruvayurappan temple is a block consisting of umpteen shops. Majority of the shops in this complex sell items that are related to pooja, like earthen lamps, flowers, coconut and incense sticks, etc. Besides these items you can also find toys, clothes, jewelry, paintings, antique artifacts and handicraft items showcasing the art and culture of Kerala state and many other options for picking up gifts for your loved ones. If you love bargaining then these local shops give you a great platform to bargain for everything. Guruvayur is flocked with tourists all around the year, especially devotees who come here from all across the nation to offer their prayers and seek blessings from the almighty. Accommodation is not an issue here and one can easily find all kinds of lodges, hotels and guest houses to fit in their budget.